The party bus is the perfect wedding car for couples with a bit of a personality; those that do not want to follow convention and rock up in a limo. 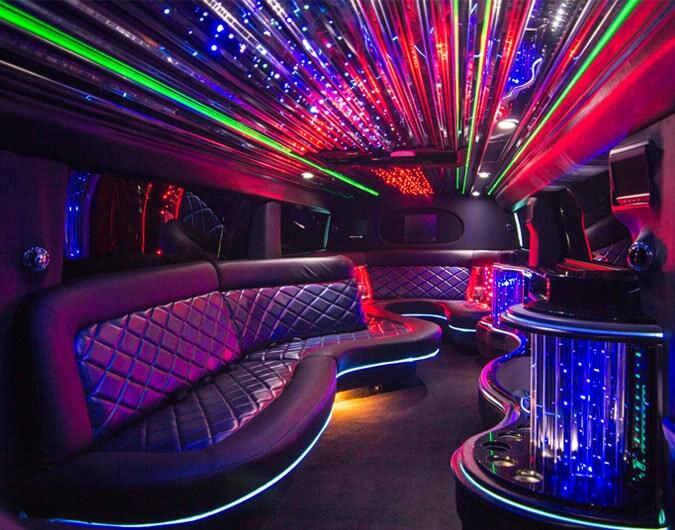 Built to impress the party buses within our fleet are far from understated, renowned for turning heads wh. Nowadays a traditional wedding seems a bit boring with many wanting to channel their personality into their wedding day. This is why wedding party bus hire is on the rise, with the more inventive brides and grooms wanting to go out of single life with a bang. Fitted with a wealth of fun-encouraging features the party bus is perfect for an upbeat wedding, catering to the needs of the adventurous twofold. The party bus is the perfect wedding car for couples with a bit of a personality; those that do not want to follow convention and rock up in a limo. Built to impress the party buses within our fleet are far from understated, renowned for turning heads when out on the road. So, if you are a bit if a party animal and would like to make a a statement with your arrival a party bus is definitely worth consideration. Who will be driving the party bus? At Partybushire.co.uk we only employ drivers that extend our mission as a business, to offer an unparalleled service to customers throughout the UK. In doing so we attract experienced drivers that deliver a service of perfection, taking extra care when working on wedding bookings. If you are worried about who will be driving your hired party bus then have faith that all of our chauffeurs are referenced and CRB-checked, just for your peace of mind. Although we offer wedding hire packages on white, black and even pink party buses we can also add a bit of colour through extra decorations, a service that really provides that personal touch. So, whether you want ribbons, flowers or even both on your party bus inform us when on the phone and we can arrange the finer details. To book your wedding party bus call us on 0800 043 1043 and speak with a member of our expert sales staff.